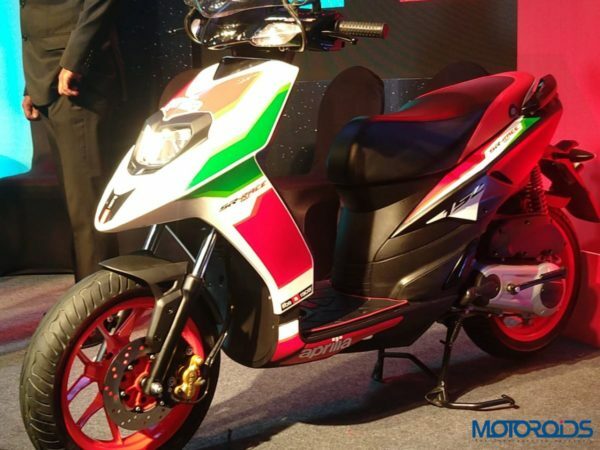 Aprilia has recently launched the 2018 updated SR150 in India, they have also launched the new SR150 Carbon edition. The Carbon edition is essentially a faux carbon wrap and an overall black theme instead of the conventional Aprilia racing colours. This may or may not be to your fancy, but if it is Aprilia has made it available at a price of Rs. 73,500/- ex-showroom Pune. Meanwhile, the SR150 Race is quite the eye candy with its RS-GP colour inspired theme that a nod to Aprilia’s MotoGP bike. It is also available with a tall windscreen, race-themed helmet and brake callipers that are finished in gold and a first in segment adjustable suspension. Coming in at a premium, the SR150 race costs Rs. 80,211/- ex-showroom Pune. Other features like a USB charging point located under the seat, an analogue instrument cluster that also gets a digital fuel gauge, odometer and a trip meter make their way to the updated SR150 line-up. 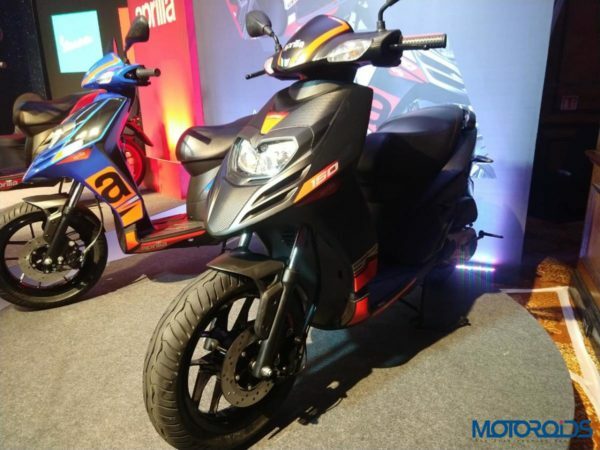 The standard SR150 also finds itself with new colour options ranging from matte black, blue, gloss red and white and will be available at a price of Rs. 70,031/- ex-showroom Pune. Mechanically all variants are powered by the same 154cc, single-cylinder, air-cooled motor that produces 10.25 bhp of power and 11.04 Nm of torque. Braking has been carried out by a 220 mm disc at the front and a 140 mm disc at the rear, while the scooter finds itself riding on 14-inch wheels that are 120 mm in width. The SR150 weighs in at just 122 kgs and can manage to do a top speed of 95 km/hr. Also new to the SR150 range is factory fitted mobile connectivity feature that allows riders to access information like accurate GPS information, emergency contact details and they will also be able to locate nearby service centres. It will come equipped with a panic alert feature, wherein riders can reach out to the registered number configured with the current location and seek help in case of an emergency. Riders can find, navigate and follow their bikes using smart connectivity. Through its “Find Me” feature, the user can identify and locate their scooter in ignition off mode in a busy parking area.